As we raise a glass and listen to the chimes of Big Ben (is it working?) welcoming in the New Year this evening, we might wonder what 2018 will hold for us! Danielle and I have been planning for 2018 and in doing so, have found ourselves reflected on one of the fundamental principles of Pilates, Balance. Balance can take many forms; from the obvious, standing and moving with balance, to the body symmetry that is achieved through muscle balance, or indeed, to a work-life balance that so many of us often struggle to achieve in our busy lives. But perhaps we should also consider the balance between mind, body and spirit, taking time to focus on what our body needs from us to better enable us to achieve the life goals we have set ourselves. Joseph Pilates said in his book (return to life through Contrology), Contrology (Pilates), is the complete coordination of body, mind and spirit; So this New Year why not take a little time to consider your body and what it needs from you and make 2018 a year of balance. Below are a few comments from our clients, which will give you an idea of what attending classes or 1:1 sessions with us will be like. I'm really enjoying the classes, especially the ones recently where we have used the magic circle and foam roller, and I've definitely noticed a difference in terms of increased muscle tone/definition since starting Body-Torque Pilates classes......Julia G.
Just a reminder of our New Year Drinks taking place this coming Saturday, at the Red Lion in Betchworth. We have booked a room at the Red Lion for this Saturday 16th January from 1930. It would be lovely to see you and please bring partners with you to celebrate your hard work. We are planning a few fun things to keep you entertained and there will be some prizes too! There will be some light finger food, but it would be best either to eat first or if you‘d like to eat at the pub, we have been advised that it would be best to pre-order your food, as the pub are expecting it to be a busy evening, you can see the menu by clicking on the link below. New for 2016 “Pilates for Men” Beginner level class on Saturday Mornings at 08:30. This will be a stand alone course of 10 weeks running up to Easter, starting on 16th January. The class will take you from the very basic principles of Pilates and progress you through the essential level exercises. We should also be able to introduce some of the easier intermediate work. Taught by Rob at Bell Street Studios, this will be a perfect way to get started, preparing you to then move into an improver level class in our regular timetable. Is getting fit one of your New Year’s resolutions? Get fit with Metafit! The Metafit™ bodyweight training system is effective and simple, and is backed by scientific research. It works! To burn fat you need to change your resting metabolism. Metafit™ does this by working big muscle groups with high intensity intervals thereby giving you quick results. Classes run across the week, for more information, click here to see our HIIT page on our website. Feel you’re not fit enough to start? If you like the idea of getting fitter and working in a more cardio form than in your normal Pilates class, but think that metafit will be a bit too much of a challenge, or think you’re just not fit enough to start, then why not try our “get ready for metafit” course on Wednesday mornings in Reigate? Over 5 weeks we will take you through mobilizing and stretching routines, that will help build on the flexibility gained in your Pilates class. We then take you step by step through the Metafit exercises, breaking them down and explaining the movement patterns and demonstrating the basic exercise levels, along with the exercise progressions. The course culminates in you doing a full Metafit workout. Thats all for now hope to see you on Saturday! To all of the wonderful people who have supported me with kind, encouraging words and generous donations, I wanted to say a massive thank you for helping me raise over £1400 for Muscular Dystrophy UK. I ran the Bournemouth marathon on 4th October in a respectable (first) time of 3:50:27 and loved every minute of it! It was a brilliant day, the sun was shining which made for a beautiful back-drop once we escaped the town and got to the coast. There was plenty of support along the first 18 miles as there was a lot of “out and back” so people could stand in the same spot and see runners several times. I was lucky to have a mini mob that came out to support me including my enthusiastic 6 year old son who blew a trumpet for 3 hours! I could hear him at least 10 minutes before I could see him! I felt really strong for the first half and then began to feel tired as the sun kept shining, the wind kept blowing, and the hills kept coming! Although I had dutifully completed hill training sessions in the build up (you do well to avoid hills where we live!) I don’t think I was mentally prepared for the amount of climbing that I encountered. I had naively assumed a coastal marathon would be a flat one. However I persevered and never once considered stopping or doubted my ability to finish. As I approached the last mile I managed to speed up and even managed a sprint finish (in a meta fit style “final round THE FINISHER” effort)! As I crossed the finish line I couldn’t contain the overwhelming emotions I had controlled all day. The gratitude for those that had supported me, pride, happiness, euphoria, excitement, tiredness and sadness that it was all over. I cried and laughed at the same time as I was sent along a line towards the medals and reunion area. This was one of the best days of my life and one of the most surreal. The experience was profound and certainly hasn’t deterred me from doing it again and I would highly recommend any one to give it a try. The whole process is amazing and requires a huge commitment from you and your loved ones in the emotional and practical support they offer you. Which leads me back to a big thank you! For every word of encouragement and every donation that kept me steady and able to complete my training and run a marathon! P.S. My fundraising page is still open until 4/01/16 www.virginmoneygiving.com/laurabaldwin (wink wink nudge nudge) Laura Baldwin. Thanks Laura: If you feel your Body-Torque classes are helping you prepare for a challenge in 2016 and you’d like us to share your journey with our members please let us know! I have been attending Pilates classes for a good number of years with Body-Torque and credit them with helping me overcome problems with both my lower back and shoulders. However, at the great age of 65, I was about to retire and felt that I needed to re-assess my fitness. This was partly prompted by a visit to my doctor, who somewhat cruelly I thought, quoted the ‘use it or lose it’ adage to me! I decided to see a personal trainer, thinking that I could get an over-all assessment and some useful exercises in addition to the Pilates I was doing with Body-Torque. Big mistake in this case! I went twice: the second time to confirm my initial response. I did not feel I was listened to, or that my age was taken into account when put through a series of movements. I paid a lot of money for a poor experience. I then spoke to Danielle who recommended some 1:1 classes with Rob: I was able to go once to see if I liked it – I did and so signed up for a course. As in the classes, there was a real sense of the exercise tailored to the individual, confidence building advice and, as hoped, real progress. I realized because I thought I knew the movements, that I had allowed myself to get a little lazy in my group classes and was not getting the most out of them. The 1:1 sessions enabled me to re-visit the basic exercises and appreciate how the more complex ones are built up. There was also no escape from the exercises I found difficult and Rob was able to help me find ways in which to succeed with these. The use of the equipment also made a big difference in helping to achieve my goals. I have been able to take what I learnt back into the classes and feel that I am able to benefit more from them now as I have a heightened awareness of what I am trying to achieve – and I have reminded myself sternly that I need to listen attentively at all times! ………………Jenny B.
I think it’s fair to say Madeleine is truly passionate about her fitness and exercises daily; in addition to Pilates, Madeleine is a keen swimmer, regularly works out at the gym and loves attending Body-Torque’s challenging Metafit (HIIT) classes! Her first introduction to Pilates was with Body Torque in 2005 after the birth of her first child. Madeleine quickly became hooked on the Pilates method, and attended more and more classes and 1:1 studio (apparatus) sessions. Finally, deciding she wanted to help others enjoy the benefits of Pilates as much as she had, she gave up her career in finance and trained as a Pilates instructor. 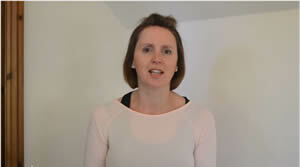 Madeleine trained with STOTT PILATES and YMCAFIT in London and now holds an NVQ Level 3 in Anatomy and Physiology for Exercise and Health and an NVQ Level 3 Pilates Training Certificate (mat-work). Madeleine has gone on to study Pre and Postnatal Pilates, with Carolyne Anthony, and will no doubt be adding more qualifications to her C.V. as her Pilates journey continues. After completing her training, Madeleine started teaching for Body-Torque Pilates. Her calm and relaxed approach is reassuring to beginners, whilst her ability to subtly challenge our more experienced clients has helped Madeleine to build her band of faithful followers. Some of you will know Laura Baldwin, or at least recognise her from her photo. She is a long standing client of Body-Torque. What you may not know, is that Laura has been in training and will be running the Bournemouth Marathon on 4 October 2015, to raise money for Muscular Dystrophy UK. Hi Laura, s o what motivated you to start running? I started running after my daughter was born in 2011, mainly as a way to get fit and lose some baby weight. I was bumbling along quite nicely until my lovely sister-in-law (and talented runner) challenged me to a 10k. I didn’t achieve an amazing time, but it did change my motivation, I was overjoyed and immensely satisfied to have done well, and this spurred me on to see what I could really achieve if I put my mind (& body to it). What training do you do to prepare for your races? Since my first race, I’ve been much more focused and take training and general fitness more seriously. I run most days, and love to cycle when time and children allow. As runners often pick up injuries, I feel it’s important to balance my body, incorporating all planes of movement. I do Pilates twice a week with Body-Torque, this helps me achieve a combination of stability, control and flexibility. I also attend Body-Torque’s interval training (HIIT) class called Metafit. Metafit’s total body integration exercises, really boost my fitness; helping me achieve a PB at the Reigate Park Run, straight after a Metafit session! Now, with many race finishes to your name, is there a result you’re particularly proud of? I’m really proud of the Reigate Half Marathon which I ran last year with my best running buddy, as part of the Body-Torque run team. I finished in a time of 1:47. Helping to raise over £1000, for the Children’s Trust in Tadworth. So, was it just time to step up to marathon distance, or was there another reason you decided to enter the Bournemouth Marathon? In December 2014, I was diagnosed with Late On-set Fascioscapulohumeral (FSH) Muscular Dystrophy. It is a slow progressing muscle wasting condition and there is a 50% chance I have passed it on to my children. FSH Muscular Dystrophy is a rare condition that involves weakening of the muscles predominantly around the face, shoulder blade and upper arms. It is estimated that around 1 in 20,000 people have the condition. The good news is that there is a new treatment, and trials begin this year. However, far from making me slow down, I’ve used my diagnosis as an excuse to do things I might otherwise only have talked about doing! After years of saying, I’ll never run a marathon, I am now thrilled and looking forward to competing in the event; oh yes, and I’ve never felt fitter or more alive! So are you running for a charity to raise money? Yes, when I decided to run it was a “no brainer”; I would do it for Muscular Dystrophy. Thanks Laura, and best of luck for the Bournemouth Marathon on 4th October! Laura has already managed to raise over £600! If you’d like to support Laura’s fund raising effort, please visit her virgin money giving page where you can donate online. http://uk.virginmoneygiving.com/LauraBaldwin (or click here). Alternatively you can also pass your donations to your class instructor, we’ll make sure that Laura receive them on your behalf. The new September Metafit workout has just been released. Called “body drag” which is something I used to do in my windsurfing days; a fun & challenging trick, and this workout looks to be the same!! “Body-Drag” is 22mins long, and consists of 3 rounds of 4 exercises; with a leg sapping finisher. Each exercise is done individually, then in pairs, and finally all 4 exercises together with no rest between each exercise! I’m looking forward to teaching this one; first session Saturday 19th September, fancy joining me? Call or email me now to book your free trial session. We have now released our new class timetable for autumn; classes start from 5th September, all class booking forms are now available to download from our site; you can search classes either by location or day. If your rebooking your favourite class then please book early to avoid disappointment as some classes are very popular and September courses are always busy. If you’re new to Pilates or haven’t previously attended classes with Body-Torque, and aren’t sure which class to book please call us and we will be happy to talk through class options with you. Hope to see you in a class soon. Body-Torque ‘s latest addition to its class timetable has proved a great success. Our new classes at Beare Green, which started last Thursday have attracted a large group of our Dorking class attendees, who find the free parking, traffic free journey, tranquil setting, along with the earlier class time an irresistible combination . Madeleine’s calm and relaxed approach has also captured the imagination of many of our regular Dorking clients, her ability to challenge clients in a subtle way is infectious and she has continued to build on her band of faithful followers, adding new clients at this venue. This week sees the start of the new beginners classes at Beare Green. Class times are 09:45 Improvers, 10:45 beginners. We are offering free trial classes with Madeleine throughout the month of June, just call to register your interest.